The use of medical marijuana is increasingly being recognized as an effective treatment for a variety of illnesses and diseases. Some examples of symptoms and common illnesses treated with medical marijuana can include but are not limited to chronic pain and muscle spasms, nausea, seizure disorders, various types of cancer and diabetes. Following is a list (certainly not exhaustive), of some of the principal and most widely recognized symptoms and illnesses for which the science of marijuana is known to have associated positive effects. Using medicinal marijuana to assist those with AIDS is a fairly recent addition to the many different uses for medicinal marijuana. THC seems to be effective in slowing down the spread of the disease throughout the body. The effectiveness of cannabis for treating symptoms related to HIV/AIDS is widely recognized. Its value as an anti-emetic and analgesic has been proven in numerous studies and has been recognized by several comprehensive, government- sponsored reviews, including those conducted by the Institute of Medicine (IOM), the U.K. House of Science and Technology Committee, the Australian National Task Force on Cannabis, and others. Research published in 2004 found that nearly one-quarter of AIDS patients were using cannabis. A majority reported relief of anxiety and/or depression and improved appetite, while nearly a third said it also increased pleasure and provided relief of pain. AIDS wasting syndrome was a very frequent complication of HIV infection prior to the advent of protease-inhibitor drugs, and has been associated with major weight loss and cachexia, conditions that further debilitate its victims, who are already weakened by immune system failure and opportunistic infections. Cannabis has been a frequently employed alternative medicine for the condition, particularly in the USA, because of its reported benefits on appetite and amelioration of other AIDS symptoms. Several research studies have been performed to gauge the effectiveness of cannabis to treat Alzheimer’s patients. Results have been mixed, but seem to lean toward proving that there is a beneficial impact on Alzheimer’s from marijuana use. The researchers who did not find sufficient support for marijuana’s chemical treatment of the disease itself admitted that the medication does at least provide relaxation and comfort for patients who suffer from Alzheimer’s, and may be a beneficial treatment of the symptoms if not the root problem. The THC that comprises the active ingredient of cannabis has been shown to have a direct impact on the formation of protein deposits in the brain, which can cause some Alzheimer’s symptoms. Extensive studies have proven that cannabis can reduce the brain’s protein deposits far more effectively than the Alzheimer’s medications that are currently being prescribed. Doctors are excited about the fact that marijuana could treat the cause of Alzheimer’s as well as provide relief from its more debilitating symptoms. Arthritis is another one of the hallmark physical ailments for which medicinal marijuana is used. Those in their older years and those with early onset arthritis can find some relaxation in medical grade cannabis. Bones do not ache nearly as much when treated in this manner. THC and CBD, the two main components of marijuana, have been recognized as “key therapeutic constituents that act synergistically together and with other plant constituents. THC has shown pain relieving abilities for both nociceptive and neropathic pain. CBD has shown the ability to block the progression of rheumatoid arthritis, while both THC and CBD have anti-inflammatory effects. Among the more serious uses and treatment for medicinal marijuana is to aide those diagnosed with cancer. Medicinal marijuana aides cancer in to remission in most cases and helps alleviate pain. Medical marijuana is a very effective method of cancer treatment. A cancer treatment like chemo-therapy can have wide-ranging, unpleasant side-effects that may be treated with marijuana. There has been much interest in the use of marijuana to treat a number of medical problems, including chemotherapy-induced nausea and vomiting in cancer patients. A harsh cancer treatment might affect you in two main ways. Chemo-therapy or radiation may cause a physical ailment like upset stomach, which medical marijuana can relieve. A cancer treatment might also cause depression, which can be more effectively treated by medical marijuana than an anti-depressant. In the case of Crohn’s disease, the benefits of medical marijuana has been shown to greatly improve the symptoms and side effects of this incurable digestive system disorder. One of the most profound findings regarding the use of marijuana to treat this disease is its effectiveness in reducing the inflammation of the affected section(s) of the bowel and intestine. The main symptom of Crohn’s disease is the negative consequences that coexist with the actual inflammation. Researchers have isolated a specific compound found in marijuana known as beta-caryophyllene, which is suspected of having anti-inflammatory properties. The benefits of beta-caryophyllene as an anti-inflammatory shows much promise in relieving many of the agonizing symptoms commonly experienced by Crohn’s sufferers. Another important positive aspect of the use of medical marijuana in the treatment of Crohn’s disease is its effect on appetite. The properties in marijuana help ease nausea as well stimulate the appetite of patients with this ailment. One of the most troublesome symptoms of Crohn’s is a loss of weight due to the decrease in appetite of patients. Marijuana, when used to treat the symptoms of Crohn’s disease, has been found to reduce loose bowel movements in many patients. Diarrheal is a very serious concern for patients battling this ailment. Limiting the amount of loose stool in patients with Crohn’s is a constant battle. While there are other medications that can be used to bulk up the bowel movements, marijuana has far less adverse side effects than traditional pharmacological remedies. Chronic pain can be caused by a particular illness or from a condition all on its own. Medicinal marijuana has been proven to be very effective in combating the effects of pain on the central nervous system. Many people in the world suffer from chronic back pain. In fact, back pain is one of the most common ailments seen by doctors. Chronic back pain is most common in people between the ages of 30 and 50, and is caused by the deterioration of the body caused by the aging process, as well as by the lack of healthy exercise in people of this age group. Chronic ailments like back pain can often be attributed to diseases such as arthritis, as well as to less serious problems such as pinched nerves. Scientists began studying the possible uses of medical cannabis in 1975, when a major study in the use of THC was performed revealing that the use of medical marijuana significantly lowered pain levels in patients who suffer from constant pain, without any significant adverse side effects. Several other studies have been made, using marijuana to treat chronic pain, and the results have all been remarkably similar. There have been no negative side effects like those associated with prolonged use of OTC medicines or prescribed medicines, such as nausea, ulcers, and addiction. In fact, the only side effect that patients involved in these various studies have reported in an increase in appetite. Medical marijuana has even been called by some researchers as the “21st Centuries miracle drug” and thereby there are many reasons why people may prefer using marijuana instead of prescription drugs for epileptic seizures including cost, side effects, and better results. Medical marijuana has been proven time and time again that it is especially beneficial to those who suffer from epilepsy. Epilepsy is a condition in which cells of the brain function improperly causing an excitement of the cells and then a seizure. When one has epilepsy, the seizure can occur spontaneously at any given time. The ability to drive or even work may be affected. Some researchers think that bright or flashing lights may bring on an epileptic episode, while others state that seizures are from damage to the temporal lobe. Either way, epilepsy can be a serious condition, and almost always needs treatment. Until recently, physicians generally treated epilepsy by prescription medications. These medicines include Tegretol, Dilantin, Klonopin, Mysoline, and Zarontin. The side effects of these popular prescription medications are absolutely terrible. Side effects include anemia, headache, hair loss, depression, psychosis, gum swelling, impotence, and even loss of one’s libido. Researchers have stated that epileptic patients who have used medical marijuana have noticed great benefits from the drug use. Marijuana using patients complain of far less headaches, and even less seizure activity. Many investigating physicians also state that the use of medicinal marijuana along with prescription barbiturates can completely control epilepsy, with no symptoms at all. 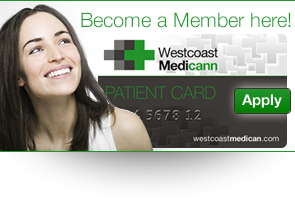 One of the most notable ailments medicinal marijuana is used for is to help treat glaucoma. The THC in marijuana has been proven to slow down the loss of vision and even reverse the effects. People have been able to have their sight restored altogether in some cases. Studies dating back to the 1970s have shown that smoking marijuana can have positive effects in the treatment of glaucoma. The medicinal effects of marijuana smoking result in a lowered IOP, which is the pressure of the fluid in the eye. IOP, or intraocular pressure, is the pressure of the fluid in the eye, and it has been shown numerous times that taking marijuana orally or smoking the substance can result in a lowered pressure in the eyes, which has beneficial qualities in the treatment of glaucoma. The euphoric effects of smoking marijuana due to the chemical THC (tetrahydrocannibinol) have also been considered as a positive side-effect.